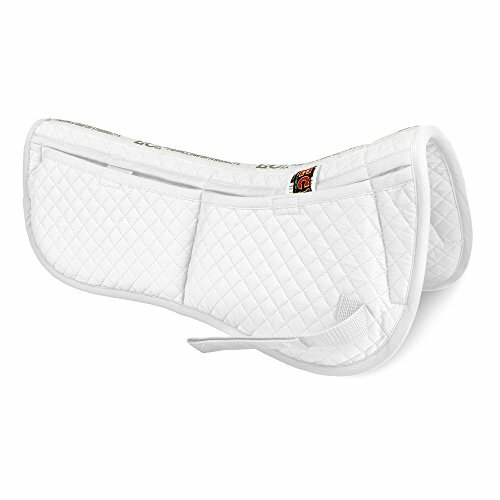 This ECP cotton correction half pad features a quilted cotton top with an ultra soft brushed cotton underside. The Pad has a cotton quilted top with 4 pockets (2 - front pockets and 2 - back pockets) with 3 memory foam shims in each pocket. This allows you to customize the fit exactly where you need it.. The memory foam is provided with the pad and is contoured specifically for front or rear placement allowing for a more ergonomic fit. Allows for customizing with the ability to fit and compensate for changes in the horse's shape due to age or physical condition. This conforming pad allows for excellent circulation and padding. Absorbs and wicks away moisture. The variable geometry provides relief of pressure points where it matters the most for your pet. Made with materials chosen for performance. Available in Multiple colors, Burgundy, Light Blue, Navy Blue, Purple, Violet and Rose . 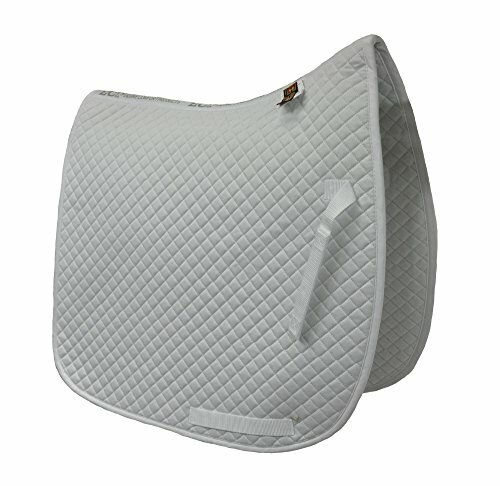 Size: Top length 22" drop length 8.5"
Diamond Quilted Cotton Dressage Pad. 1/4" poly fill for added comfort and protection for your horse. The contoured top line of the pad promotes constant airflow for excellent circulation. It absorbs and wicks away moisture leaving your horse feeling cool and dry. Ideal for everyday use. Can be used with our sheepskin saddle pads. Nylon billet straps secured with Velcro. Available in Multiple colors, White, Black, Burgundy, Light Blue, Navy Blue, Purple, Violet and Rose Top length: 22" Drop length: 20" Care instructions: Machine wash in front loader, top loader without agitator or hand wash in cold water and mild detergent. If needed use non-chlorine bleach on white pads only. Use a mild/gentle cycle. Hang or lay flat to dry. Our original Air Ride pads are a durable, impact resistant option with plenty of ventilation. Eliminate pressure points while maintaining a perfect fit. The TPR material absorbs shocks, while hundreds of ventilation holes throughout the pad provide all-over breathability. 3D Air Ride pads feature a new, lightweight compression mesh construction. Within each pad hundreds of flexible fibers work together for total support and stability. 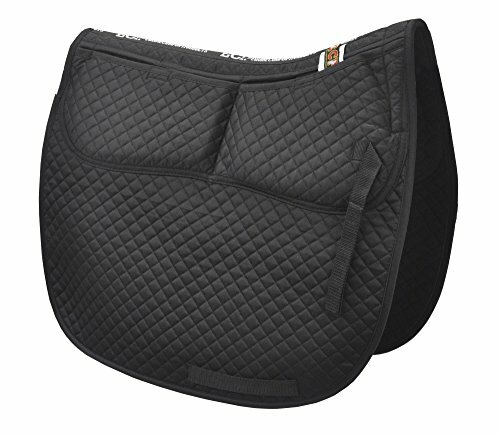 Non-slip, high-grip underside hold tightly while conforming to the shape of the horse's back for maximum comfort for both horse and rider. Retains original shape after each use. 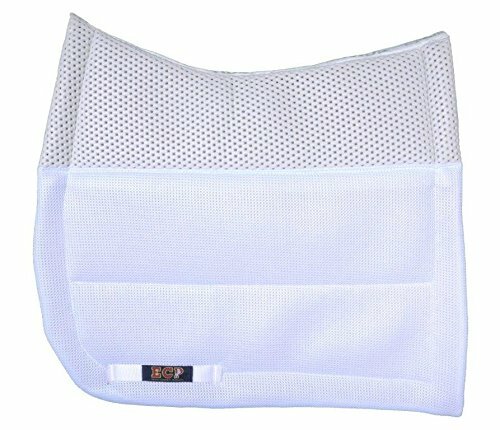 These Equine Comfort Products Grip Tech Saddle Pads in white allow horse and rider to meet and conquer the many challenges in the equestrian world. Our Grip Tech saddle pads are designed with half inch non-slip compression foam on top with 100% brushed cotton on the underside. 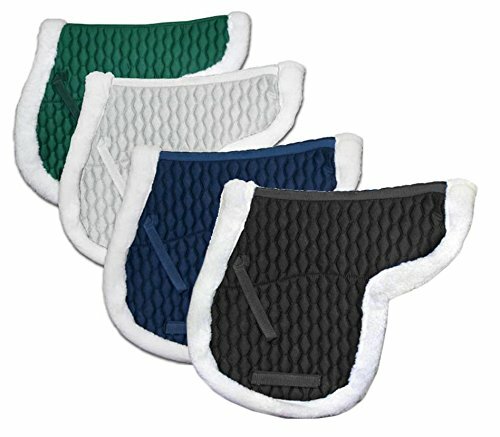 The half inch compression foam keeps the saddle in place and protects the horse's and rider's backs from jarring impacts. With another layer of compression foam between the outer mesh flaps, ECP's Grip Tech saddle pads are the perfect combination for moisture wicking, breathability and shock absorption. 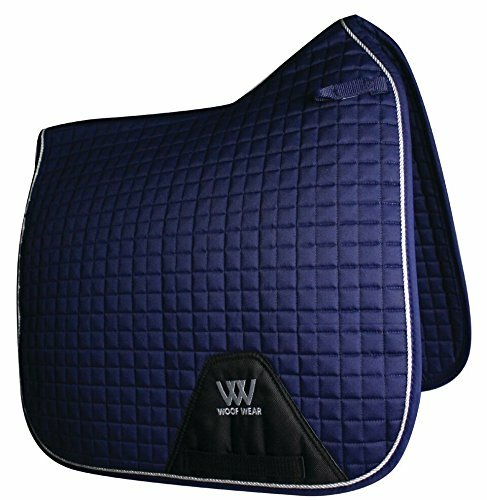 Woof Wear Color Fusion Dressage Saddle Pad Woof Wear Saddle Pads are shaped to fit the contours of the horse and to mirror the latest saddle styles. They are available in a range of everyday and vibrant colors that can be coordinated with many Woof Wear Sport Brushing Boots, Dressage Wraps and Pro Overreach Boots (sold separately). Features: High profile design offering freedom of movement Breathable poly-cotton with stylish silver binding Ballistic Nylon Girth Pad for added durability Easy Fit D-ring straps for mono-flap or regular saddle fit Item Specifications: Size: Full Size fits 16.5" to 18" Saddles 26.5" Spine, 21" Drop Colors: Berry Black Lime Mint Navy Orange Powder Turquoise White Care Instructions: Machine wash max 30C, gentle spin. DO NOT tumble dry. DO NOT leave in strong sunlight. 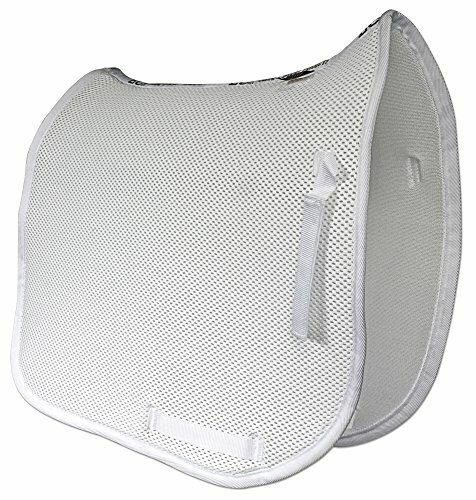 Looking for more Contour Dressage Pad similar ideas? Try to explore these searches: Character Checker, Coastal Marine Charts, and Resin Candle Holder. 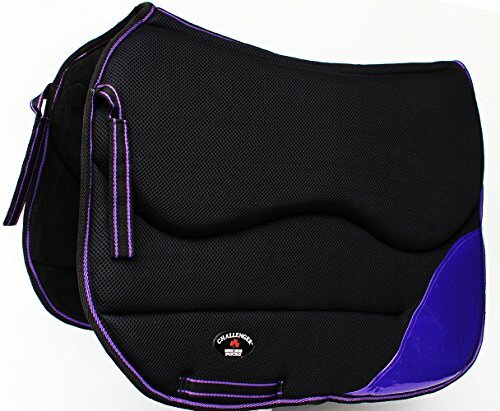 Look at latest related video about Contour Dressage Pad. Shopwizion.com is the smartest way for online shopping: compare prices of leading online shops for best deals around the web. 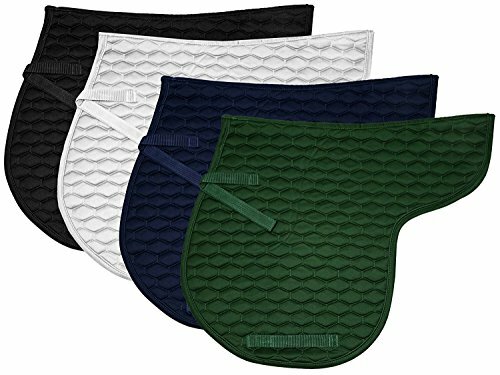 Don't miss TOP Contour Dressage Pad deals, updated daily.